If you are walking the Tawd enjoying the Autumnal delights, why not download the BetterPoints app and earn reward points? 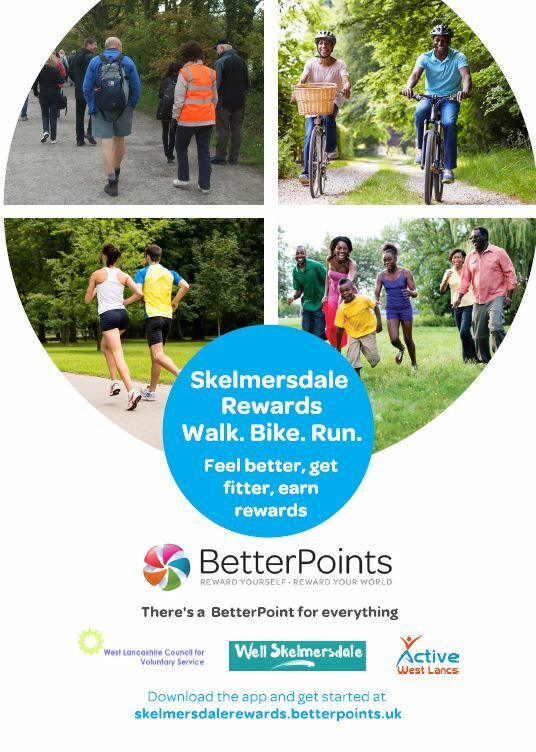 You can use the app to track your walking, running or cycling – and earn ‘Skelmersdale Reward’ points to cash in for high street vouchers (or to donate to charity). Tech innovation company BetterPoints has been working in Skelmersdale over the last 18 months, encouraging residents towards better health by using a behaviour change app to increase activity levels. This Skelmersdale Reward scheme was introduced by Well Skelmersdale, as part of its drive to improve health in the town, and is supported by West Lancs Clinical Commissioning Group (CCG), Active West Lancs and West Lancs CVS. So when you are out walking the Tawd, start feeling better, getting fitter and earn Skelmersdale Rewards today! Download the BetterPoints app today from the App Store or Google Play.